Ahmet Ertegun was born into a high-ranking political family in Istanbul in 1923. When his family moved to America in the late 1930’s, at the age of twelve, his passion for jazz urged him to escape one afternoon into a New York taxi cab to Harlem to experience its glory for the first time. Ahmet was enraptured by the music, guided through the clubs by popular musicians, and given cannabis by doting showgirls. His family was furious, but it was that afternoon that sparked his lifetime ambition to form the legendary Atlantic Records. The House that Ahmed Built traces the trajectory of the label’s formation with rare and compelling footage of some of the greatest performers in music history. At the onset of Atlantic, Ertegun and his brother staged the very first racially integrated music concerts in Washington DC showcasing Ella Fitzgerald, Duke Ellington, and Cab Calloway. The label was one of the original sources to introduce jazz and R&B into popular culture with LaVerne Baker, Big Joe Turner, and Jesse Stone’s “Shake Rattle and Roll.” Ertegun would then champion the careers of songwriting duo Leiber & Stoller who penned classic pop hits from the Coasters to Elvis Presley. He gave the first break to the infamous Phil Spector and his Wall of Sound, and went on to team up with Stax Records in Memphis to expand the careers of Otis Redding, Booker T, and Aretha Franklin. 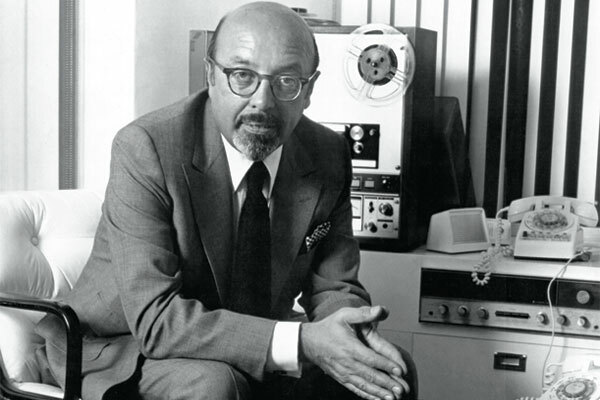 Ahmet Ertegun’s contribution to the music industry was so influential that the film serves as a historic timeline of American music through the last century; from the segregated nightclubs of Harlem, to the soul hits of the 50’s, into the psychedelic era and onward. Unprecedented acts such as the release of the Rolling Stones’ Sticky Fingers record with cover deign by Andy Warhol complete with a functioning zipper are fondly remembered, as well as the potent first stirrings of Led Zeppelin. Richly entertaining anecdotes of raucous parties and studio sessions from the greatest legends of rock adorn the film’s chronology. The House that Ahmet Built is a valuable documentation of cultural evolution and an homage to the spirit of music. The film highlights the tremendous social forces that can flourish when ethnic diversities are celebrated and amalgamated, and when artists are honored with the freedom and resources for creative expression – namely, Rock and Roll.